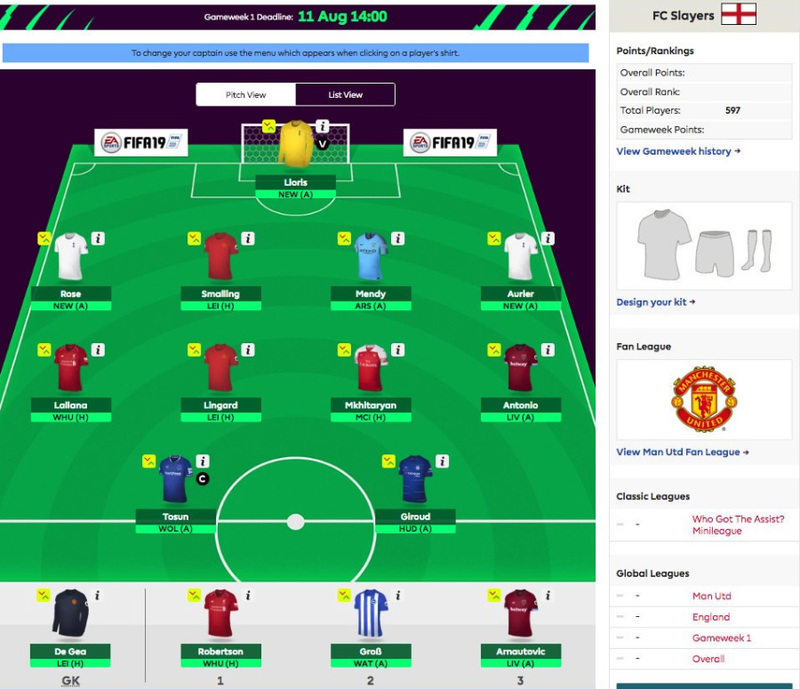 The new Premier League season starts in just under 2 weeks time and every Fantasy Football Premier League (FPL) player is frantically tweaking and tinkering with their teams/drafts – ready for gameweek 1. The official FPL web site opened about a month ago and I signed up early on. Before even thinking about any players I wanted, I just pressed the auto-pick button. To get the web site to automatically pick players which would fit in squad within the budget. 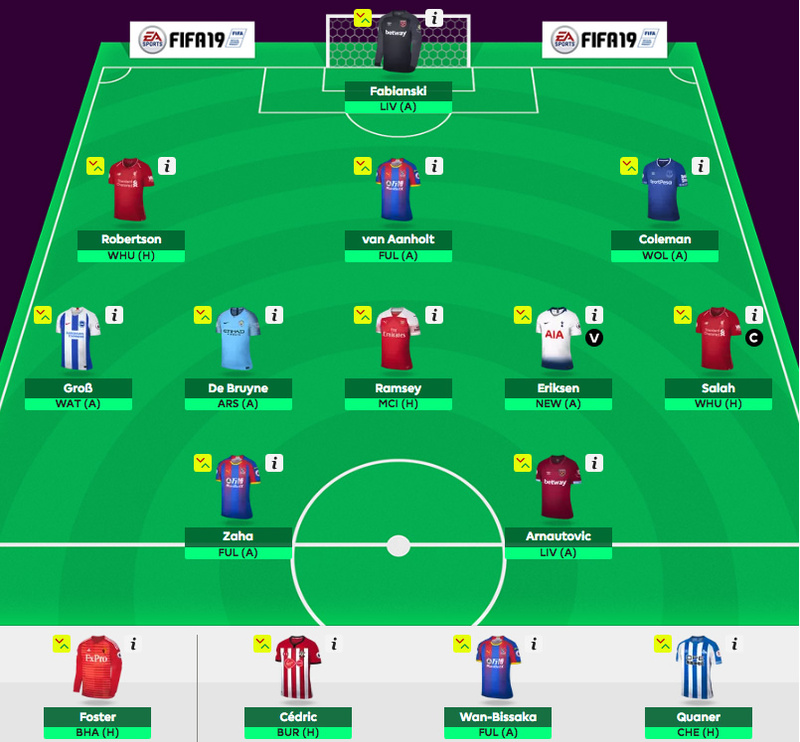 I think the team it picked is actually pretty good – and with 2 premium goalkeepers and £1.5m in bank – although some players likely to miss start of season!! LOL. (Signed up early enough to get team no. 597). I have since been tweaking my team many times. Changing players based on pre-season games (a dangerous business since pre-season games are often not the best indicator of how a player or team will perform in actual season), listening to FPL podcasts, FPL streams and reading articles. The main podcast I listen to regularly is the Who Got The Assist guys. And then streams/videos I watch regularly is of course the podcast/”Scoutcast” from the Fantasy Football Scout guys (also read their web site), Lee and Sam from the FPL Family and also Andy aka Let’s Talk FPL. And only recently discovered Always Cheating #FPL. (There are others I watch now and then and I also follow lots of FPL fans on Twitter). Anyway, this is my latest team/draft. Thoughts? It is sure to change before the season starts. I think the only certainty is 100% Salah. Just can’t risk not having him in. I did have Sanchez in for awhile but just got rid. I think my United tinted glasses were clouding my judgement. Hopefully I am wrong but for the price I think there are better options with the way United play (thanks Jose!). At the moment I have got pretty midfield heavy. Also, I don’t have any “premium” strikers. (And you could argue bench is weak). My thinking re: the premium strikers is that all of them have “risks”. Aubameyang – he was in my team for a long time but new Arsenal manager seems to be playing him wide. Still potentially to score big though. Lacazette playing central for Arsenal – so maybe he’s an option? I have got for Arnautovic as he’s in good pre-season form (I know what I said about pre-season!) but I do like him as a player especially if he plays central. Problem is he plays for West Ham! And they play Liverpool 1st game. Also at the moment got Zaha. Played upfront last season – hopefully will this coming season. Some players who could easily go in my team – Sane, Pedro, Aubameyang, Aguero, Stekelenburg (if Pickford sold), Sanchez, Mata, Hazard, Maguire (if United buy him), Toson (Everton with good fixtures – now with attacking manager). But this team will probably change – after more pre-season games including the Charity Shield. And if all else fails, will probably use the wildcard during the International break!